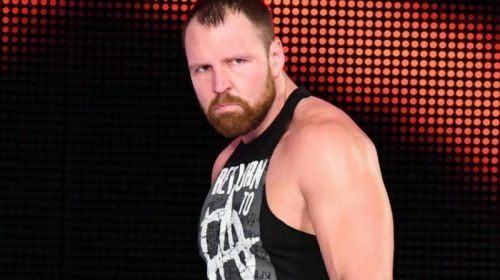 Rumors abound that former WWE, Intercontinental and United States Champion, Dean Ambrose is set to leave WWE after WrestleMania 35, when his current contract is set to expire. For Ambrose, the timing of his three year deal expiring, could not come at a better time. His headline push, following his return in August 2018 has stalled. Even with his good friend, Roman Reigns on the shelf indefinitely, which opened up a main event spot, Ambrose has not smashed through the glass ceiling. Instead, the brass ring has been grabbed by his other Shield brethren, Seth Rollins, who was the winner of the 2019 Royal Rumble and is set to challenge Universal Champion, Brock Lesnar at WrestleMania. Ambrose defeated Rollins to win the Intercontinental Title in a featured bout at December's TLC pay per view. However, his superiority over Rollins was for naught when he was shockingly upended by a directionless, Bobby Lashley on the January 14, 2019 episode of Raw. His title reign lasted less than a month. Suddenly, it was Ambrose who was without a purpose in a storyline. He was eliminated very early from the Royal Rumble match, when in previous years he has been a fixture in the annual spectacular's concluding stages. The message was clear. Ambrose is not a major star in WWE anymore. Therefore the breaking news that Ambrose may soon depart the company, perhaps should not come as a major shock. What is left for him to do in WWE anyway? The timing of his contract expiration may also be opportune due to the realistic possibility that All Elite Wrestling may be interested in the former WWE Champion. Why wouldn't they be? Ambrose, at 33 years of age, has a long future ahead of him and is an established star. He would perhaps be the second biggest name to mainsteam audience in the company behind Chris Jericho, although he wouldn't be able to use his WWE-owned "Dean Ambrose" name. Jon Moxley may have a future in AEW though. SK looks at the three focal reasons, why Ambrose should make the jump to Cody and company. Dean Ambrose has not had a good January 2019. Firstly, he dropped the Intercontinental Title to Bobby Lashley, he contested a far too competitive match-up with an opening card act, Apollo Crews, he was dumped out of the Royal Rumble long before its conclusion and perhaps the most worrying of all, he was humiliated by a female performer, Nia Jax on the January 28, Raw. Ambrose had just lost a bout with his former buddy, Seth Rollins when he took the house microphone and was about to address the live crowd. 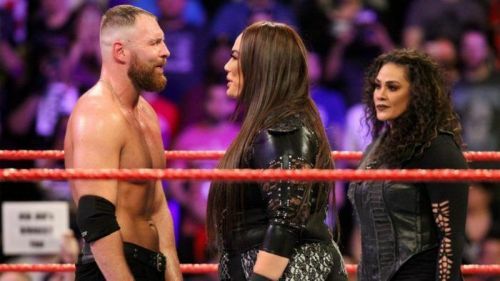 However, he was confronted by former Raw Women's Champion, Nia Jax and when he disrespected her, she smashed him in the back and sent him flying through the ropes. Now, Jax is a formidable competitor, no doubt and there is no shame in being knocked down by her. However, when judged in the context of main event players such as Brock Lesnar, Seth Rollins or AJ Styles; would any of those be booked to look inferior to Jax? Would Stone Cold or The Rock in a period where intergender wrestling was much more common? No. It wouldn't happen. Raw underlined that WWE no longer sees Ambrose as a headline star.